Let’s face it, making superior biscuits takes some skill. There are things that can go wrong and turn all your hard work into failure. 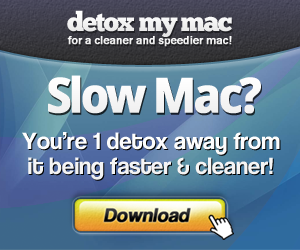 Wouldn’t it be great if you could get outstanding results every time without the fuss? Well there is a way and I’m going to show you how with this goof proof angel biscuit recipe. Angel biscuits are different from regular biscuits. They rely on a combination of levening agents. 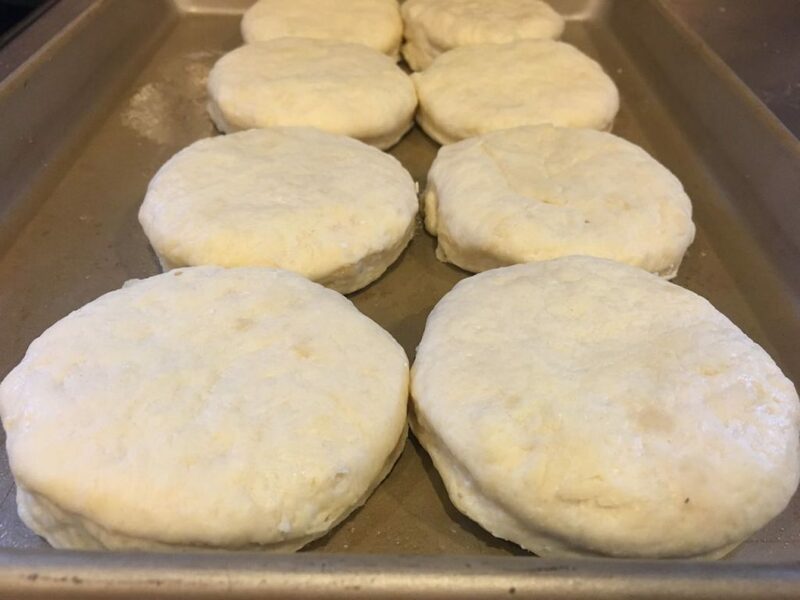 Old fashioned biscuits use baking powder and some soda to help them rise while baking. The dough must be handled gently to reduce gluten. Any excess handling and you will have some cheap hockey pucks. Now with Angel biscuits we are going to add yeast to the mix to give them a quick and easy boost. Turns out that the yeast will make this fool proof yet keep the character that we want and expect. This is not a dinner roll recipe and we don’t want them to taste like rolls. You want biscuits and you want them good. Yeast’s levening action is unstoppable which means you can overcome common challenges from a standard recipe. 1. It’s ok to knead the dough. Normally this would be a disaster, but it’s not when we use yeast. 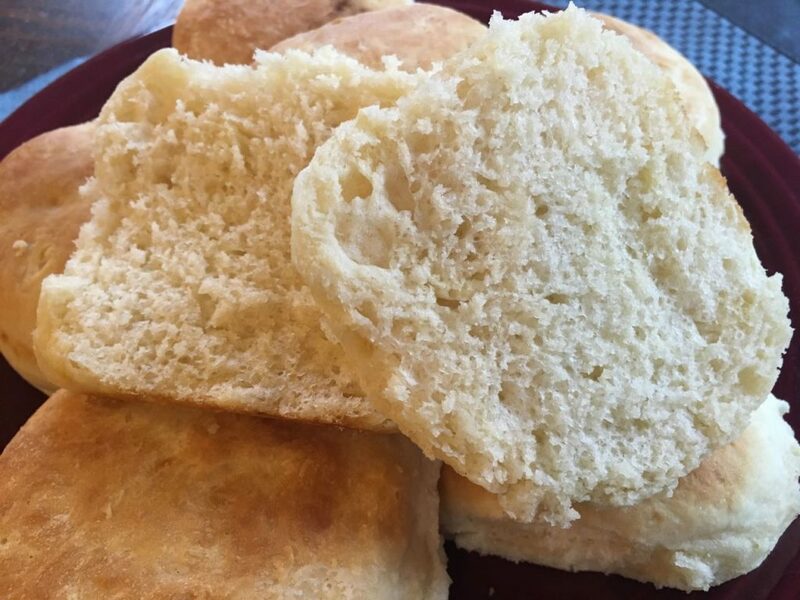 The yeast works with the gluten and the biscuits rise prior to baking, plus a little more when in the oven. 2. The yeast helps to lighten the biscuits higher than regular baking powder can do. 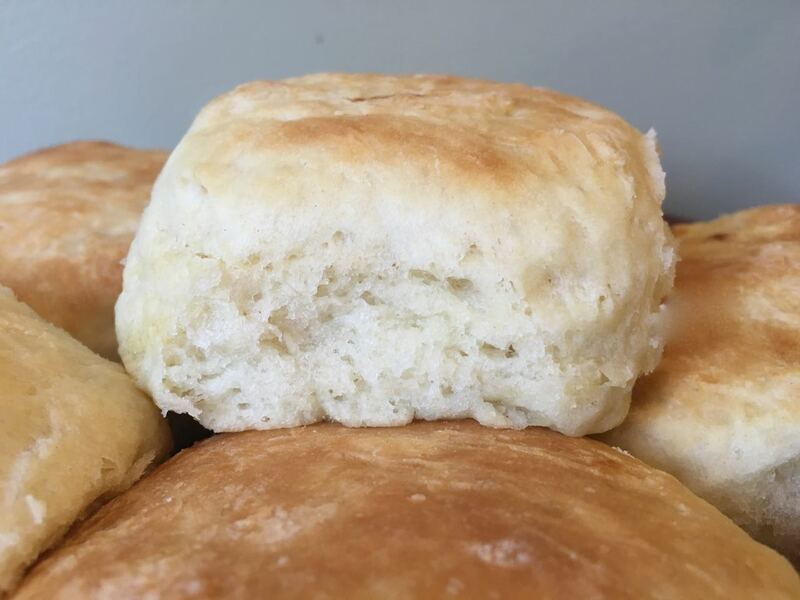 Tough dough is easily broken down by the yeast resulting in superior biscuits. 3. Adding a second levening agents makes these easier to get it right the first time. There is less chance of missing the mark which is a huge bonus when you want them to come out right. Well, it takes about 40 extra minutes to make these vs standard biscuits. You will need to let the dough rest, then allow the cut out biscuits to rise prior to baking. I realize this time is significant, but it is surely worth the wait. 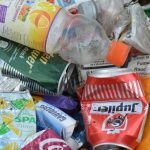 Once you’ve tried them, you may not go back to the old method. Notice how the dough is moist, but dryer than normal biscuits. That’s perfect. You did it right when they are just dry enough to knead, but no dryer. This is what it looks like before they have risen. Here the biscuits have risen and are ready to bake. They are already visibly lighter and higher than a standard baking powder biscuit. Wow. Look how light and tender they are on the inside. It was worth the wait. A hybrid biscuit that uses yeast and baking powder for superior results. Proof the yeast by adding yeast and 1 tsp of sugar into ¼ cup of 110 degree water. Set aside. Mix 1 tablespoon of sugar plus the remaining dry ingredients together, then add oil and butter. 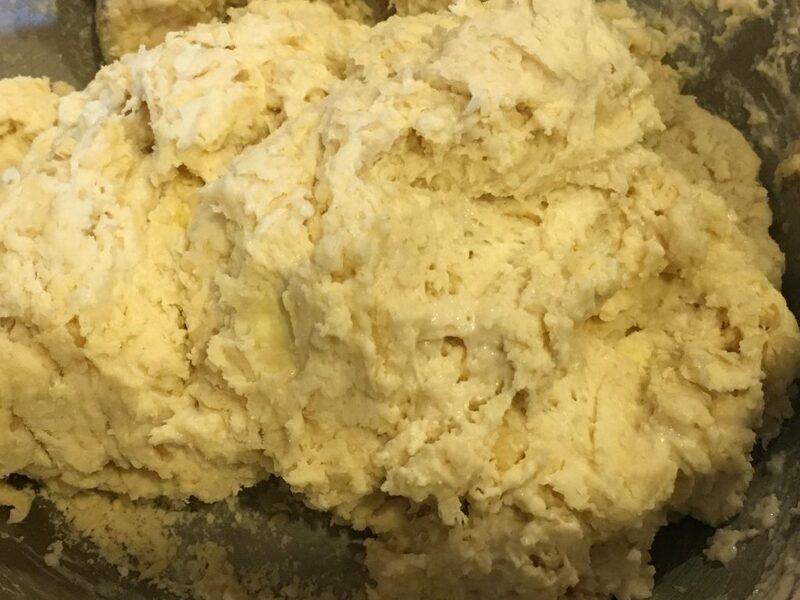 Rub the flour with your fingers until it's crumbly with bits and pieces of butter visible. Warm the buttermilk to 110 degrees, then add to flour and mix. You may need to adjust the amount of buttermilk to get the dough to the proper consistency. The mix should be moist but not so moist that it sticks to your fingers. Place the dough onto a floured board and gently knead for about 10 turns. Add any flour as necessary to prevent the dough from sticking to your hands. Let the dough rest for about 20 minutes covered with a clean cotton towel. 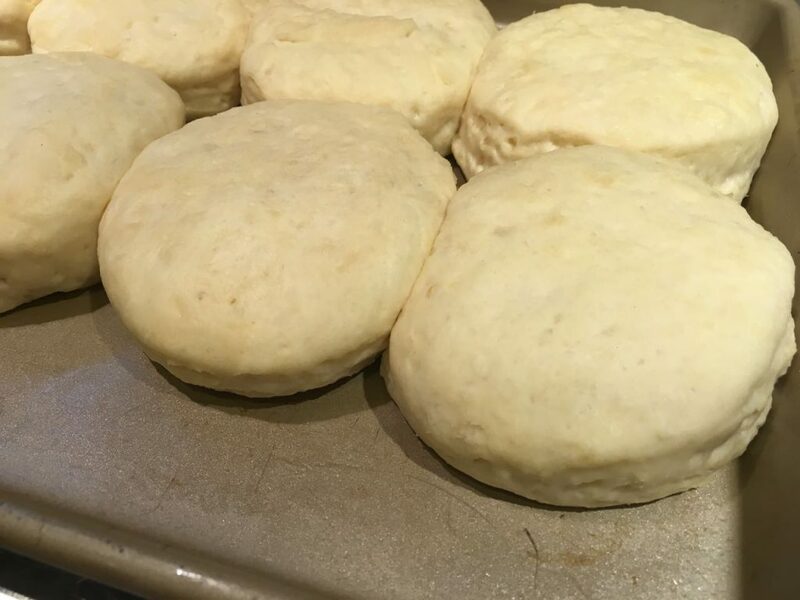 After resting, roll out to 1" thick, then cut out biscuits with a cutter. Place onto a cookie sheet, then allow to rise for about 20 minutes in a 100 degree proofing oven or longer at lower temperatures. Bake for about 14 minutes at 425 degrees or until golden brown. Serve warm. 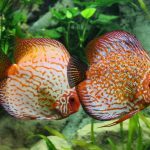 Previous Post: « GnuCash Vs Quicken – Which is Best?